What is El Nino and what does it mean? In this animated video, we explain what El Nino is and how it affects weather around the world. El Niño and La Niña are terms which describe the biggest fluctuation in the Earth's climate system and can have consequences across the globe. The fluctuation sees changes in the sea-surface temperature of the tropical Pacific Ocean which occur every few years. These events are due to strong and extensive interactions between the ocean and atmosphere. They are associated with widespread changes in the climate system that last several months, and can lead to significant human impacts affecting things such as infrastructure, agriculture, health and energy sectors. The name 'El Niño' nowadays is widely used to describe the warming of sea surface temperature that occurs every few years, typically concentrated in the central-east equatorial Pacific. 'La Niña' is the term adopted for the opposite side of the fluctuation, which sees episodes of cooler-than-normal sea surface temperature in the equatorial Pacific. These episodes alternate in an irregular inter-annual cycle called the El Niño Southern Oscillation (ENSO). Southern Oscillation is the term for atmospheric pressure changes between the east and west tropical Pacific that accompany both El Niño and La Niña episodes in the ocean. ENSO is the dominant feature of climate variability on inter-annual timescales. Our research helped show that El Niño and La Niña cycle has impacts all over the world. For example, El Niño years are one factor that can increase the risk of colder winters in the UK. We now better understand these impacts and reproduce many of them in our climate models. The Tara, a 36-meter schooner, traveled over 180,000 miles collecting biological samples. 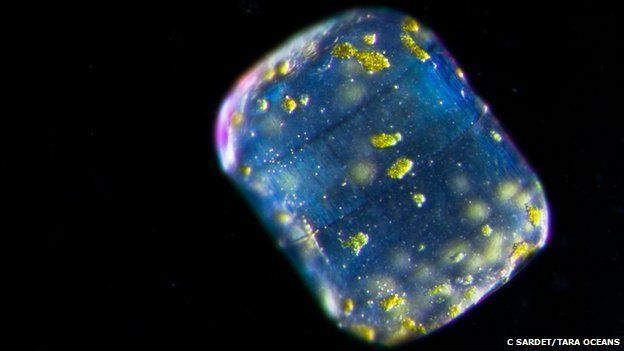 The hidden world of the ocean's tiniest organisms has been revealed in a series of papers published in the journal Science. An international team has been studying samples of plankton collected during a three-year global expedition. They have so far found 35,000 species of bacteria, 5,000 new viruses and 150,000 single-celled plants and creatures. They believe that the majority of these are new to science. 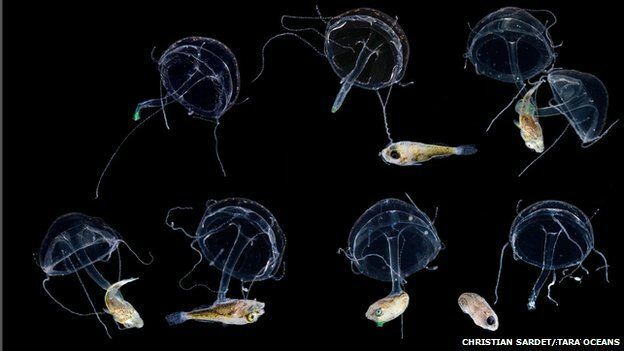 Dr Chris Bowler, from the National Centre for Scientific Research (CNRS), in Paris, told BBC News: "We have the most complete description yet of planktonic organisms to date: what's there in terms of viruses, bacteria and protozoa - we finally have a catalogue of what is present globally." 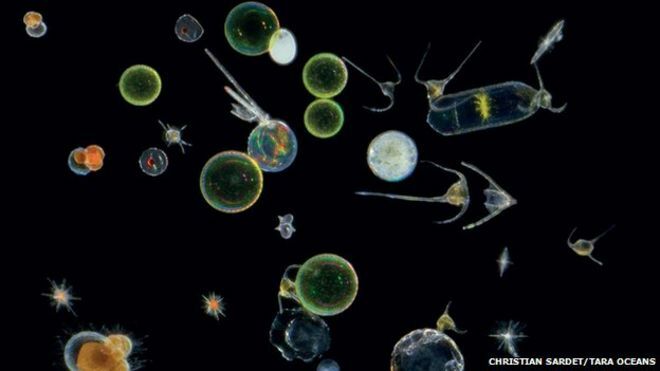 Planktonic organisms are minute, but together they make up 90% of the mass of all of the marine life in the oceans. They include viruses, bacteria, single-celled plants and creatures (protozoa). They form the very base of the food chain, and produce - through photosynthesis - half of the oxygen we breathe. However, until now, little has been known about this unseen ocean ecosystem. The Tara expedition, primarily funded by the French fashion designer Agnes B, set out to change that. An international team of scientists took part in expeditions onboard the Tara schooner between 2009 and 2013. 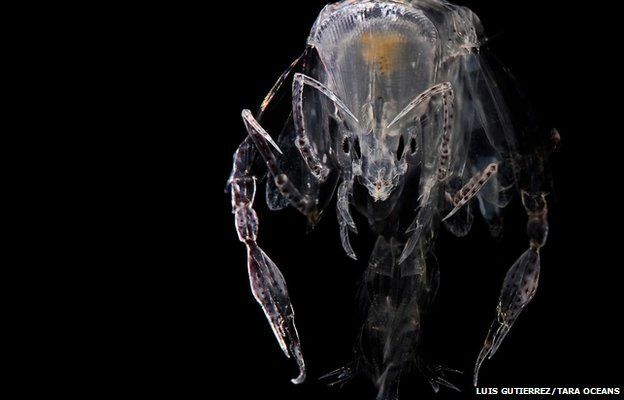 It sailed 30,000km across the world's oceans, with researchers collecting 35,000 samples, taking them from the very top layers of the ocean down to 1,000m below the waves. The project has cost about 10m euros. So far the scientists have analysed 579 of the 35,000 samples collected, presenting the results in five scientific papers. Dr Bowler said the research was transforming our understanding of these ocean communities. "For the viruses, we describe about 5,000 virus communities - only 39 of these were previously known. "And for protists - unicellular organisms - we estimate something like 150,000 different taxa. 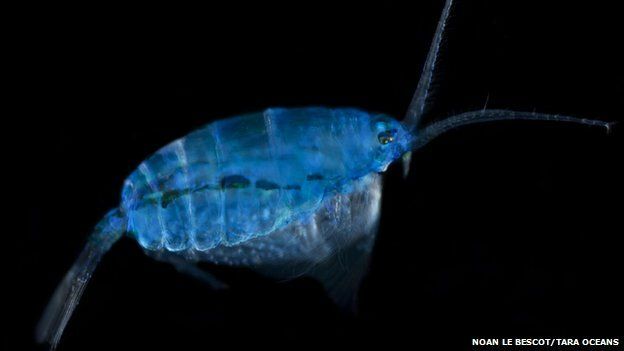 "There are about 11,000 formally described species of plankton - we have evidence for at least 10 times more than that." Of the 35,000 microbes found, most had been seen before, however a genetic analysis of them revealed many new genes. "We have 40 million genes - about 80% of which are new to science," explained Dr Bower. The researchers also analysed how plankton communities are organised. "We have thrown all of these together to see who interacts with whom," said Dr Bower. "We now have a big dataset where we can ask: 'who do you always find with someone else?' or 'who do you never find with someone else'. "This helps us to describe symbiosis and interactions that go beyond grazing and predator-prey relationships." The researchers have found that many of the organisms, particularly the bacteria, are sensitive to temperature. Dr Bowler said: "It is temperature that determines what sort of communities of organisms we find. If we look at our data and we see what organisms are there, we can predict with 97% probability the temperature of the water they are living in. 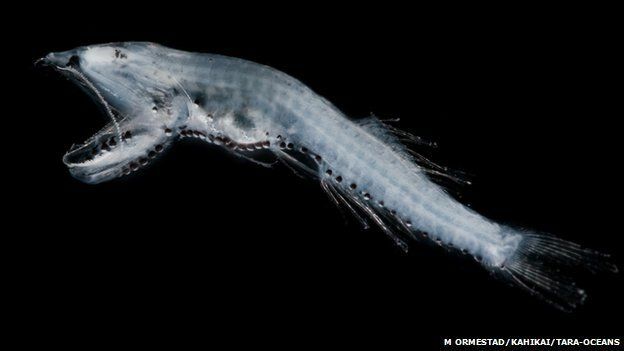 They are making their findings freely available to the scientific community to gain a better understanding of this vital but unseen underwater world. Dr Bowler continued: "The amount of data we have released is already enormous; it is one of the largest databases of DNA available to the scientific community. But we've analysed perhaps 2% of the samples we have collected throughout the world - so there is a huge amount of work to do in the future to understand even more about the functioning of these marine ecosystems and the importance of that for the wellbeing of the planet. "So it's really just the beginning of the study." Anyone who’s taken a road trip has probably had to use a map at some point. Navigating from point A to point B isn’t always as easy as it seems. Imagine what’s its like then to travel the ocean. How do you know where you are and what’s around you? Well, there are maps for the ocean too. These are called nautical charts. At first glance, a nautical chart may look overwhelming. But once you learn what the various lines, numbers, and symbols mean, reading these charts becomes a lot easier. Any location on Earth can be described by two numbers: its latitude and longitude. On a chart, lines of latitude are horizontal while longitude are vertical. Both are actually angles, measured in degrees. If a ship captain wants to find a specific location on a chart, these are the coordinates he would use. You’ll notice numbers all over the ocean areas on nautical charts. These are actually water depths. These numbers are especially important to large commercial vessels that need to protect the bottom of their boats in shallow waters. Nautical charts also use a variety of colored lines, shapes, and symbols to show what you will find from the sea surface down to the sea floor. Coastlines can often be an underwater obstacle course of sandbars, reefs, and rocks. Throughout history, a variety of ships have sunk to the bottom of the ocean. The locations of these shipwrecks may be noted on a chart. Blue lines are used to distinguish areas of protected habitat, like a marine sanctuary. These areas may be home to beautiful islands, corals or marine life, some of which are endangered. Nautical charts are road maps of the ocean – helping sailors, fisherman, explorers, and scientists find their way around the big blue sea. Master navigator Nainoa Thompson has just been honored in Washington D.C. for “Excellence in Exploration” at the 2015 Peter Benchley Ocean Awards. He is one of a handful of indigenous navigators left on Earth that can find tiny islands in the open ocean without instruments, using wayfinding techniques passed down over a thousand years. Guided by the waves, stars, and a deep appreciation of their culture, Master navigator, Nainoa Thompson, and the rest of the Polynesian Voyaging Society have set a course for a whole renewal of people’s relationship to the rest of nature. Thompson, mentored for decades by Micronesian master navigator Mau Piailug, became the first Native Hawaiian in 700 years to practice long-distance wayfinding. As president of the Polynesian Voyaging Society, Thompson has overseen the 150,000 miles sailed over a span of 40 years by the traditional voyaging canoe, Hōkūleʻa. Thompson and the captains and crew of the Mālama Honua Worldwide Voyage are nearly 10,000 nautical miles into their current voyage around the world to explore solutions and stories of hope for our oceans and environment. Here is what Thompson had to say about the award, the connection between finding islands and finding a sustainable future, and why he is feeling hopeful about our ability to mālama honua—care for Island Earth. Flooding the night sky with reflected sunlight, or giving a point of reference when clouds block the stars, the moon can have many effects on traditional navigators. What does this award mean to you and the Mālama Honua Worldwide Voyage? The award is not for me, because Hōkūleʻa is the one that has carried all of us. I just hold it and carry it for Hōkūleʻa and for Mau, the true explorers. If voyaging matters, you have to be able to acknowledge the thousands of people that sailed Hōkūleʻa, that cared for Hōkūleʻa, that made sure that she would be safe at sea, and the thousands of people that supported her. At the core of that would be the great Mau Piailug that pulled Tahiti out of the sea and gave pride and dignity to the whole Pacific. He then came back for four decades and trained us. So, I don’t accept this award on behalf of myself. But it was an honor to be there. It was uncomfortable and intimidating, but I learned a lot. Hōkūleʻa is not sailing in isolation—there are people out there working for a common goal. What Mālama Honua stories of hope did you hear at the awards? I was among people that are great navigators in their own fields. You get a strong sense that there is hope among all the scientific evidence that is not hopeful. Together, they provide starlight that we can follow as we try to find our way. Nainoa Thompson gives his acceptance speech at the Carnegie Institution for Science in Washington, D.C. So, for me, being there tonight and connecting and building relationships with these extraordinary people, I think it strengthens the voyage and gives me a stronger sense of purpose. We were in a room full of navigators that against all the odds are doing everything they can to build a better world—the world our children deserve. As a navigator, what changes have you seen in our oceans and environment over the past 40 years? I see less fish, and more fishing boats. In the early years of voyaging, we would fish and by morning time we would pull in the lines because we had enough to eat. On our last trip to Palmayra we went 1,100 miles, and did not catch a single fish. I am not saying that it qualifies as scientific, but we are out there and we see a lot less life now in the oceans than we did before. It collaborates with the idea that 90 percent of the big fishes are gone. Healthy coral reefs full of fish occupy only a small fraction of the area they once did. Mounting evidence from the scientific world is painting a really bad ecological picture of the earth, and the issues of climate change and global warming are issues of society—whether it is economic, social, or environmental. The things that we call “environmental issues” are the most important issues that humanity has to address across the Earth. Being with Pacific Islanders—who for thousands of years and hundreds of generations that have had their wellbeing dependent on the wellbeing of the oceans—people are worried. Things that have never been talked about before—new words like acidification, or dead zones, or hypoxia—all these kinds of new words are in the conversation among Pacific people. Across the Pacific, communities are welcoming Hōkūleʻa on her voyage and getting in touch with deep, traditional understandings of the interconnectedness of humans and their environment. And the irony is that Pacific people had no role in creating those words, and yet they will be the ones that arguably will suffer the most, first. And yet at the same time, you see there is this glimmer of hope because everybody in the Pacific is talking about it now, and people are coming together, from grassroots and government, and from different kinds of organizations. So I do believe that what I see is a human reaction to their world that’s in trouble, and they are coming together in a unifying way to make the world better. It is a scary time, it is a challenging time, but also a pretty a hopeful time. A manu—bird, guides Hōkūle‘a on her way. Navigation has become more difficult over the years because of fewer seabirds being seen. Given that the techniques you use for non-instrument navigation have been passed down through the generations over a thousand years, how do these changes in the ocean and environment impact your ability to voyage? Can you maintain your traditions? Things like the signs of the seabirds—we don’t see the seabirds like we used to. 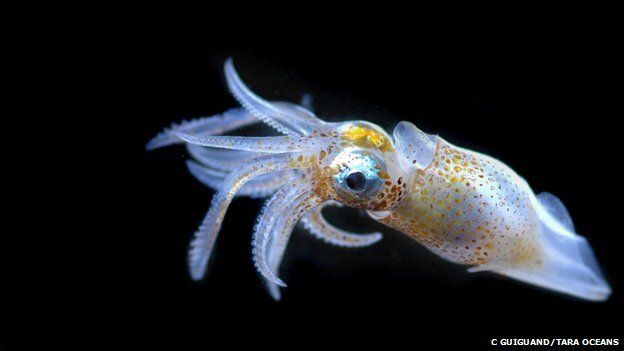 The sea life that we use in navigation becomes much more comprised. We still can navigate, but I would say it is diminished. And then what do you navigate? What is the worth of navigation if all you are doing is accounting for a world that is diminishing? It is about responsibility to nature and the ocean and the earth, which is exactly where we need to be. I think the great navigators of today are the ones that recognize the changes in nature and are taking responsibility to do something about it. Hurricane Pam, last year, was the first-ever Category 5 hurricane in the Asian Pacific in the month of May. Climate change is here. It is not an idea, it’s not a philosophy; it is here. With the hurricane season now we are seeing way more intense storms, more days of very dangerous winds. There were five major storms in the month of March in the North Pacific. Being a student of navigation, if our priority is keeping us safe we have to address it and do something about it. The navigation is traditional, but the rain gear is modern. Shoes are optional. There are people saying that going around the world on Hōkūleʻa is too dangerous; there is too much risk. The great risk of our time is not sailing Hōkūleʻa. The great risk of our time is ignorance, apathy, and inaction. The signs of nature are navigating us towards a stronger commitment to responsibility. We don’t have all the answers; that’s why we sail. At the awards, we met a lot of people that are fully 100 percent committed, compassionate, and caring. A room full of pioneers and navigators that are doing their piece of the puzzle to create positive change. We wouldn’t be in the room if it wasn’t for the Worldwide Voyage. So the voyage is taking us to places that we needed to be. It makes us not only more hopeful but it strengthens our sense of purpose and helps us understand that it is important for us to sail. Nainoa doesn’t see a major risk for the crew of Hōkūleʻa. For more about the Mālama Honua stories of hope and Hōkūleʻa’s planned arrival in Sydney, Australia this week, please visit www.hokulea.com. A new Earth-viewing satellite sensor that can observe both natural and artificial sources of visible light at night is providing a treasure trove of high-quality information for scientists, meteorologists, firefighters and city planners. The Day Night Band (DNB) sensor is so sensitive it can measure the glow of a single streetlamp from its vantage point 800 kilometers above. With moonlight, the DNB can observe clouds, snow and sea ice in almost as much precision as conventional daytime observations. Even on moonless nights the sensor can detect high-altitude pressure waves that modulate the atmosphere’s own faint glow. I have presented several major applications of this new technology in “Night Watch” in the May 2015 Scientific American. A few additional capabilities that emphasize human factors are highlighted here, which further demonstrate how the DNB is helping research and operational communities by land and sea. (Details about the DNB—part of the Visible Infrared Imaging Radiometer Suite flying on the Suomi National Polar-Orbiting Partnership satellite—can be found at http://www.mdpi.com/2072-4292/5/12/6717). Overall, the DNB is helping us realize that nighttime is nowhere near as dark as we might have thought—and that we no longer need to be “in the dark” when it comes to operating in the nocturnal environment. Credit: NASA Earth Observatory (Squid boat satellite image). The vast network of electric lights at night shows how connected civilization is to Earth as an organism. But it can also provide poignant commentary on the current state of human divisions. 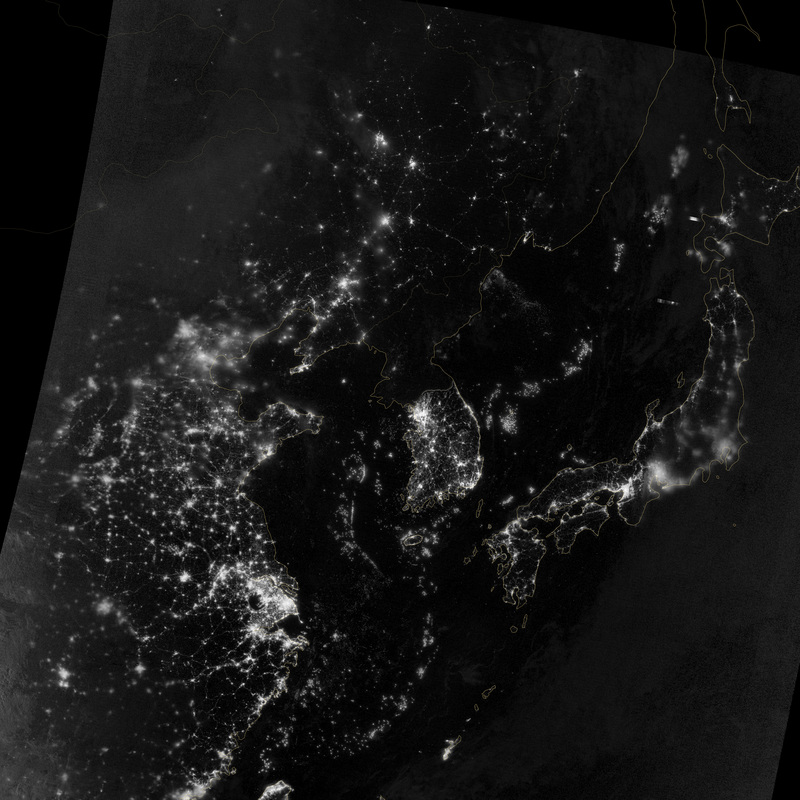 Sharp changes in regional lighting often delineate areas of poverty and economic prosperity, which is perhaps nowhere more prominently displayed than in the juxtaposition of mostly dark North Korea and well-lit South Korea (center of left-hand image). Squid boat fleets sometimes remind us of our divisions as well. The DNB can detect individual boats, each appearing as a point of light against the dark ocean water. The vessels use high-powered lamps to attract squid to the surface, like moths to a flame (right). The boats typically cluster in groups that follow schools of fishes from one night to the next. Sometimes the orientations of the clusters they form are tied in a benign way to natural features such as sea-surface boundaries that help form productive waters. But in the Yellow Sea and East China Sea regions we can see that these boats often abut political boundaries that define zones of shared (provisional) and exclusive fishing rights for China, Korea and Japan. According to local people, there are two possible reasons for these unusual alignments: One has to do with boats of another country attempting to get as close as possible to waters having more squid. But another is purely political—the density of ships along these borders effectively blocks access to the “shared” waters, and could be a passive display of force related to territorial disputes among the surrounding nations. It is a cold war of sorts but also a wet one, as coast guard ships use water cannon to ward off fishing vessels. Agencies in South Korea, Japan and Thailand as well as Peru, Argentina and Britain are now regularly requesting Day Night Band data to see if boats are fishing illegally. In less contested waters we see interesting effects of the maritime community at night as well. We are all familiar with how the exhaust from jetliners alters the atmosphere, forming clouds called contrails—those thin, white streaks across the sky. Recent research has shown that contrails can be significant enough to suppress sunlight hitting the ground below. The exhaust of ships is associated with similar effects; the effluent modifies the marine boundary layer—clouds in the very low atmosphere. The DNB readily detects these “ship trails” at night. The left-hand image shows how effluents alter cloud microphysics off the coast of Baja, Calif. The particles of smoke act as focal points for water condensation, leading to a great number of additional small cloud droplets, forming tracks that appear from above and resemble aircraft contrails. The details of these tracks can be seen in the right-hand image; a trace of the ship’s path is formed. 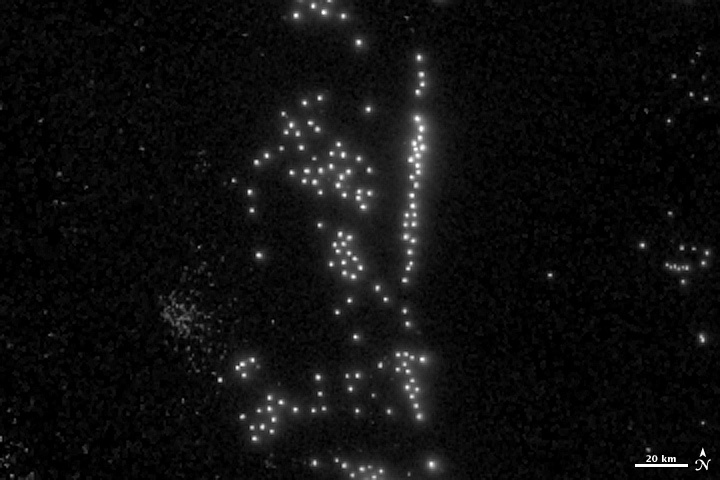 The bright point of light at the head of each track is a ship’s lights when the satellite flew over and captured the image. The ability to observe these changes in clouds is more than an interesting commentary on ships passing in the night. Like contrails, the ship trails have some important ramifications for climate. Clouds reduce sunlight reaching the surface during the day and hold in surface heat at night. Changes in the properties of clouds triggered by air pollution can alter Earth’s heat budget; even minor changes to clouds can yield a significant impact. An illustration showing movement of water from the Pacific to the Indian Ocean. The world’s oceans are playing a game of hot potato with the excess heat trapped by greenhouse gas emissions. Scientists have zeroed in on the tropical Pacific as a major player in taking up that heat. But while it might have held that heat for a bit, new research shows that the Pacific has passed the potato to the Indian Ocean, which has seen an unprecedented rise in heat content over the past decade. The new work builds on a series of papers that have tracked the causes for what’s been dubbed the global warming slowdown, a period over the past 15 years that has seen surface temperatures rise slower than they did the previous decade. Shifts in Pacific tradewinds have helped sequester heat from the surface to the top 2,300 feet of the ocean. But unlike Vegas, what happens in the Pacific doesn’t stay in the Pacific. Since 2003, upper ocean heat content has actually been slowly decreasing in the Pacific. “When I first saw from the data that Pacific temperature was going down, I was very curious and puzzled,” Sang-Ki Lee, a scientist at the Cooperative Institute for Marine and Atmospheric Studies, said. Lee, who led the new research published in Nature Geoscience, looked at records going back to 1950 and noticed that the Indian Ocean heat uptake “was pretty much flat” until 2003. Suddenly, heat began to build there, but it wasn’t coming from above. By running ocean circulation models, he found that the heat stashed in the Pacific had hitched a ride on the ocean conveyor belt and danced its way through the Indonesian archipelago, ending up in the Indian Ocean. The Indonesian shuffle means that the Indian Ocean is now home to 70 percent of all heat taken up by global oceans during the past decade. “This is a really important study as it resolves how Pacific Ocean variability has led to the warming slowdown without storing excess ocean heat locally,” Matthew England, a professor at the University of New South Wales, said. England led previous research that examined the role of the tradewinds in the Pacific’s heat uptake. Ocean heat content has risen dramatically over the past decade even as surface temperatures have not. Globally, oceans account for 93 percent of the heat that has accumulated on the planet since 1970 due to human greenhouse gas emissions. A flurry of recent research shows that the current slowdown in surface warming could end in the near future as Pacific trade winds shift, allowing for less heat to enter the ocean. Trade winds along the equatorial Pacific are in part responsible for a warming slowdown and western U.S. drought says new research. 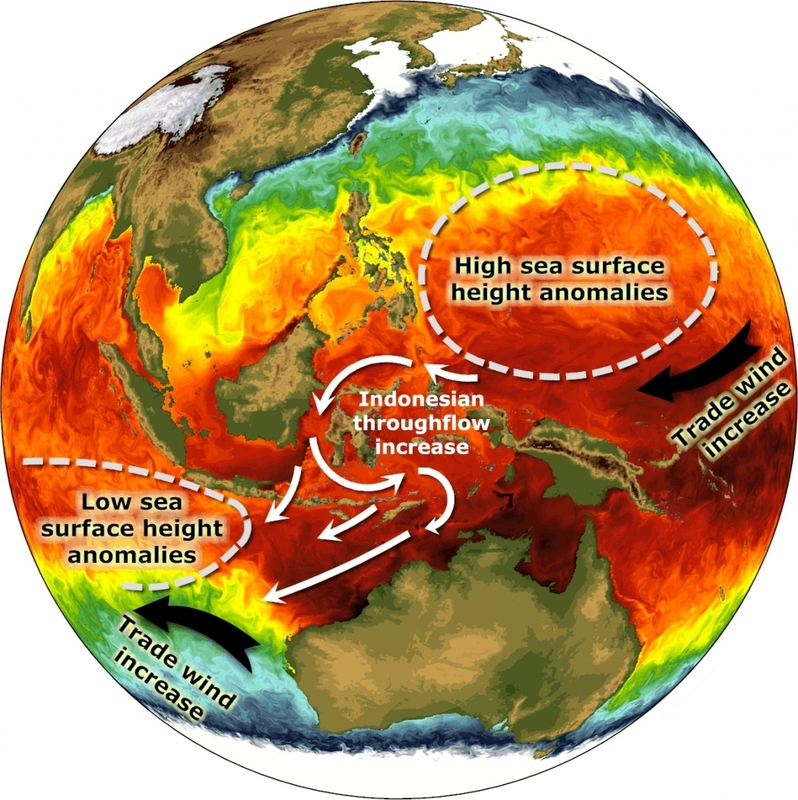 In its current location, Lee said it’s possible that the warm water in the Indian Ocean could affect the Indian Monsoon, one of the most important climate patterns in the world that affects more than 1 billion people. The current El Niño stewing in the Pacific could be also be affected. “It seems pretty clear that an El Niño event (such as this year) would reverse this anomaly, at least while the El Niño is underway,” Delworth said. What its means for future El Niño cycles is less clear, however. Lee said it’s likely to continue globe trotting along the ocean conveyor belt and find its way to the Atlantic in the coming decades. “If this warm blob of water in upper Indian Ocean is transported all the way to North Atlantic, that could affect the melting of Arctic sea ice,” Lee said. Photographer Evgenia Arbugaeva got a glimpse into the loneliest man in the world. This man is Vyacheslav Korotki, a « polyarnik », in other words, a meteorologist specialized in the north pole, that the Russian government sent to the end of the world, in Khodovarikha, in order to gather the temperature, snow and wind data. Korotki lives and works in the Arctic outpost of Khodovarikha, in a century-old wooden house that became a meteorological station in 1933. He enters all the data he collects in a journal. The 63 year old scientist is cut from the rest of the world, and only rarely visits his wife that lives on the other side of the country; either way, he prefers the Arctic and grand spaces. Meteorological journals, an atlas of clouds, and other books and data tables scattered across Korotki’s desk. The photograph of Yuri Gagarin was cut out from a newspaper article about his death, in 1968. This fantastic series called « Weather Man » is available now on her site ! Korotki, knee deep in the Barents Sea, measures the water level. Vyacheslav Korotki is a man of extreme solitude. He is a trained polyarnik, a specialist in the polar north, a meteorologist. In the past thirty years, he has lived on Russian ships and, more recently, in Khodovarikha, an Arctic outpost, where he was sent by the state to measure the temperatures, the snowfall, the winds. 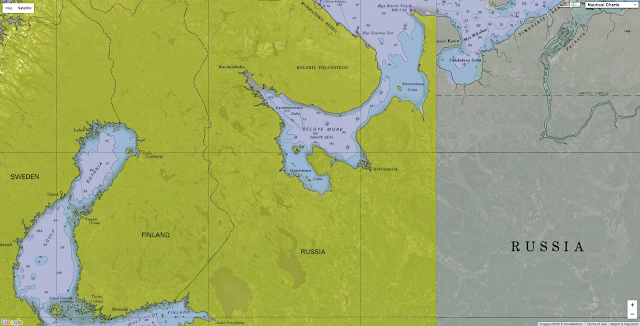 The outpost lies on a fingernail of a peninsula that juts into the Barents Sea. The closest town, by any definition, is an hour away by helicopter. The radio that Korotki uses to relay his data to another weather station, which then sends it on to Moscow. Owing to some of the same conditions that he measures—frequent high winds and heavy snowstorms—transmissions can be delayed for days. He has a wife, but she lives far away, in Arkhangelsk. On his rare visits to Arkhangelsk, he has trouble negotiating the traffic and the noise. Arkhangelsk is not Hong Kong. Korotki is sixty-three, and when he began his career he was an enthusiast, a romantic about the open spaces and the conditions of the Arctic. He watches the news on TV but doesn’t fully believe it. Polyarniki were like cosmonauts, explorers for the Soviet state. Who wants to live like this anymore? Korotki enjoys a cigarette in his handmade boat on the Barents Sea. Evgenia Arbugaeva, a photographer who grew up in the Arctic town of Tiksi, spent two extended stays with Korotki. A view of the northern lights, at Khodovarikha, on January 25th of this year. The measurement booth, a five-minute walk from the house where Korotki lives and works, records the air temperature. That day, it was minus four degrees Fahrenheit. “The world of cities is foreign to him—he doesn’t accept it,” she says. Korotki observes the landscape from the window of his house the day after a strong storm blanketed the terrain with snow. A view of the Barents Sea from a window of the Mikhail Somov, a ship that delivers food and supplies to Korotki’s station once a year, during the summer navigation season. On the months-long voyage, crew members are entitled to a treat of an orange a week. the biggest ship in the world Emma Maersk oil ship. It can hold 16k containers and this World's biggest ship dose not designed for the Panama Canal or Suez Canal. The Maersk 'Triple-E' container ship is the biggest vessel in the world. But what goes into building the ultimate engine of commerce?